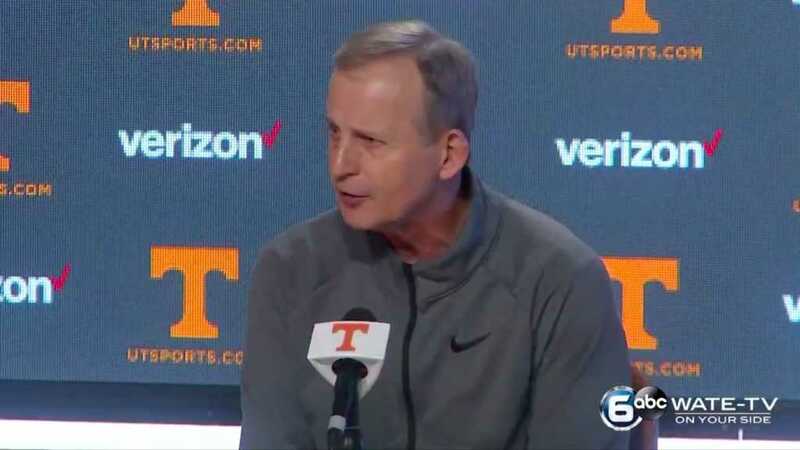 During a presser this week, Tennessee head coach Rick Barnes talked about his No. 1 ranked team, pointing out that playing basketball and coaching are about more than just wins. Barnes explained that as important as it is to be successful on the court, it’s just as important for his players to grow off the court as well. "I hope that we've taught these guys how to grow up and be good Christian guys, men." The coach, who is known for his impressive track record of wins, coaching some of the greats like Kevin Durant, D.J. Augustin and T.J. Ford, is also known for his strong faith in God. The Barnes family has always practiced the Christian faith, but according to Rick’s son Nick, they went from being more cultural, nominal Christians, to God-centered Christians about a decade ago. “I mean, as the Scripture would say, [he] lived out a new creation, a new person – just much more peace, affection,” Nick, who is a missionary in the Middle East, told Knoxville News-Sentinel. “He was a great dad. I had a wonderful childhood. But it’s just the anchor in his soul and just the perspective on life and work,” he added. Nick also commended his dad on the way he handles the intersection of his career and his faith. “I think the way he sees basketball now is not only win a lot of games, but get to pour into young guys and love on them. I think that was always there, but now to a much greater degree,” Nick said. In the same interview, Barnes’s daughter, Carley, noted how her father’s faith changed his life. “I think he really started taking his faith more seriously and all the conviction for life change kind of came from that,” she said. Barnes agrees with his kids. Although the college basketball coach made the decision to follow Jesus more than a decade ago, it hasn’t hindered him from continuing to go all out when it comes to coaching — it’s simply altered his perspective.